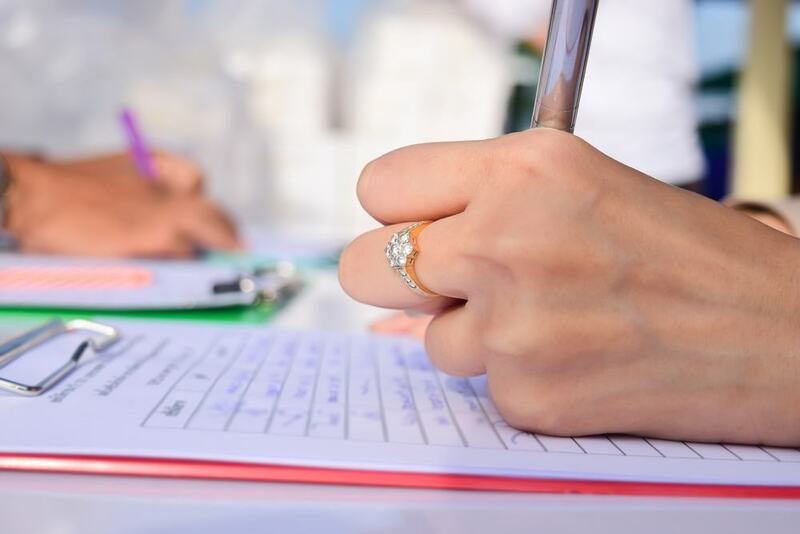 People that work in real estate, sales, finance, and other professional industries must think of their image when selecting an engagement ring. Professionals want to project the image that they are successful, so an engagement ring with a large center stone may be appropriate. If you work in a creative industry, look for a ring that has a unique design to cement your status as a trendsetter. Don’t be afraid to choose an engagement ring with a blinding sparkle as long as the design is tasteful. Editor’s Pick: Marquise Solitaire Engagement Ring in Rose Gold. 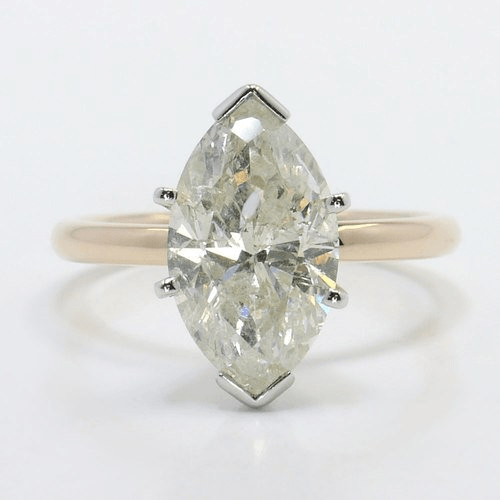 An uncommon diamond shape such as the Marquise set on the horizontal will appear massive on a thin band, especially in a delicate and feminine rose gold. An eye-catching conversation starter for sure! 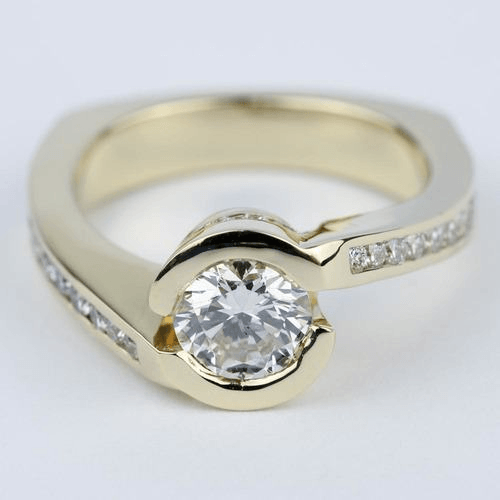 People that work with their hands, such as chefs, landscapers, and mechanics, should think carefully about which engagement ring is appropriate in their line of work. A band with a smooth surface is ideal since more detailed rings can trap dirt and debris. 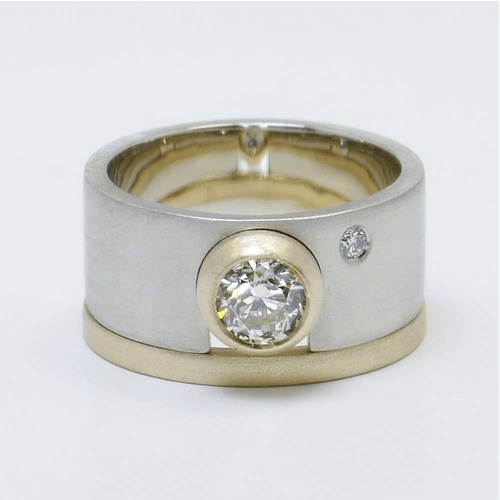 Avoid engravings, custom finishes, and additional diamonds such as a halo or pave-set diamonds in the band if you’re truly worried about being rough on your ring. A ring with a large or upraised diamond can also make it difficult to wear gloves, too, so keep this in mind if you typically wear gloves while working. Editor’s Pick: Two-Tone Bezel Accent Solitaire and Matching Band. A smooth band with a bezel setting (and small inset diamond for detail) are a perfect fit for hardworking women who want to keep their engagement ring safe and sparkling! Security guards, police officers, firefighters, and other individuals that work in high risk careers need to choose an engagement ring for a woman that will not interfere with her work. A big diamond can be distracting in this line of work, so it’s strongly recommended that you choose an engagement ring that is more discreet. If your heart is set on a big diamond, wear this outside of work and stick to a simple, plain band while you’re working. Editor’s Pick: Six-Prong Comfort Fit Diamond Engagement Ring. 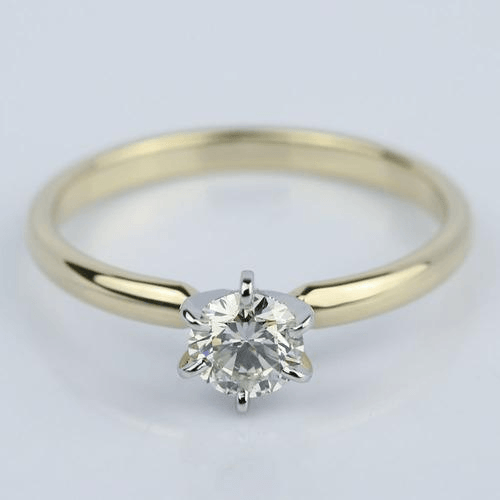 A petite diamond is a great choice, as well as going with a six-prong setting for extra protection (rather than the traditional four). A caretaker can be anyone from a teacher or daycare worker to a doctor or nurse. Caretakers work closely with other people and are often very hands-on in their work. Because of this, caretakers should look for an engagement ring with a bezel setting. Diamonds are completely encircled in precious metal within a bezel setting, so there are no sharp edges that could potentially hurt the people you work with. It’s not a good idea to choose a prong setting if you are a caretaker, since the prongs could scratch against those you are caring for while on the job. 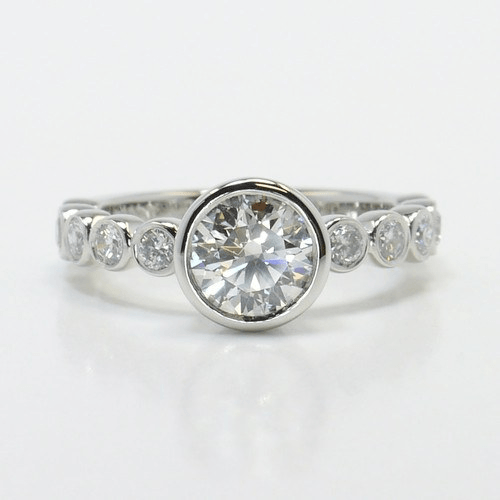 Editor’s Pick: Bezel Engagement Ring in Platinum. For caretakers who still love their bling, this engagement ring also features a bezel eternity ring with a stunning round-cut (no corners!) center stone. People that spend a lot of time working on a computer have a lot more freedom when it comes to choosing their engagement ring. But, people that work with machinery are a bit more limited with their options. If you operate machinery at work, look for an engagement ring in a tension, bezel, or channel setting. Diamonds are more protected in these settings, so you won’t have to worry about knocking the diamond loose if you accidentally hit the ring against the machinery. Many people may not think of their careers when looking for an engagement ring, but it’s important that you do so. Follow these tips to ensure that the ring you choose is appropriate for your career.